Presumably owing to the way it makes the slow corrosion of a man’s soul by his own selfish, self-destructive impulses look so darn glamorous, AMC’s Breaking Bad has been referenced in numerous true-life crimes over the years. There have been copycat meth manufacturers, cancer-ridden tutors and moonlighting chemistry teachers turned drug dealers, real-life Walter Whites, this Axl Rose outfit, and so on. And now, in the grimmest—and most directly connected—of these many Breaking Bad-inspired depravities, Washington police say a man stands accused of strangling his girlfriend then attempting to dispose of her body in a plastic tub of acid, as he apparently learned from his favorite show. 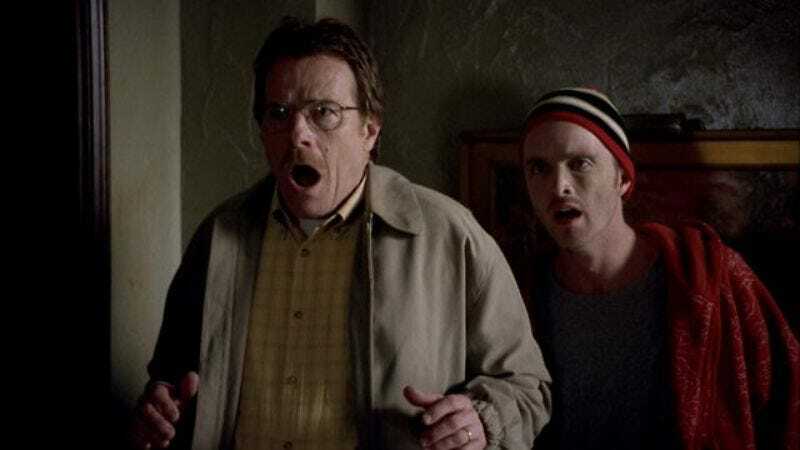 According to KTVB, Jason Hart reportedly bought DVDs of Breaking Bad prior to killing his girlfriend, with his roommate telling local TV reporters, “The only thing I know or feel about it—that was his favorite series. That's what he told me. I think he used it as instructions to go do what he was doing to dispose the body.” And indeed, investigators found that Hart’s DVD player was cued up to the first season episode “Cat’s In The Bag,” in which Walter explains to Jesse the importance of using a plastic tub to dissolve the body of a murdered rival drug dealer (an admonition Jesse promptly ignores, with gruesome results).